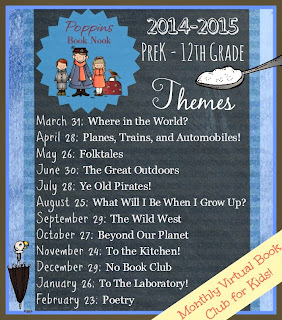 We had tons of fun with the Poppins Book Nook blog series last year and we will be continuing that fun all throughout 2014. This month's theme was, "Where in the World?" Keep reading to learn more about the books we read, fun crafts we made and be sure to grab your 2 FREE journal pages too. There is also a giveaway is at the end of the post! We read two fabulous books for this months theme. The first book we read was, What's Where In The World. I was searching for the perfect book for this months theme and stumble across this one online. I immediately fell in love with it and then became disappointed when I found out that none of the libraries in our system carried it. I then checked the local bookstores because surely they would have it! Nope disappointed yet again. Finally after a little bit of research I discovered that it was a newer publication and that it was only published in the UK. Since I fell in the love with the book I did some searching on Amazon and found a used copy of it...so I splurged! This book is fabulous and one I highly recommend for your homes library. It is one that you will read over and over again. This visual encyclopedia takes a unique tour of Earth and explores what's where in this world of ours. 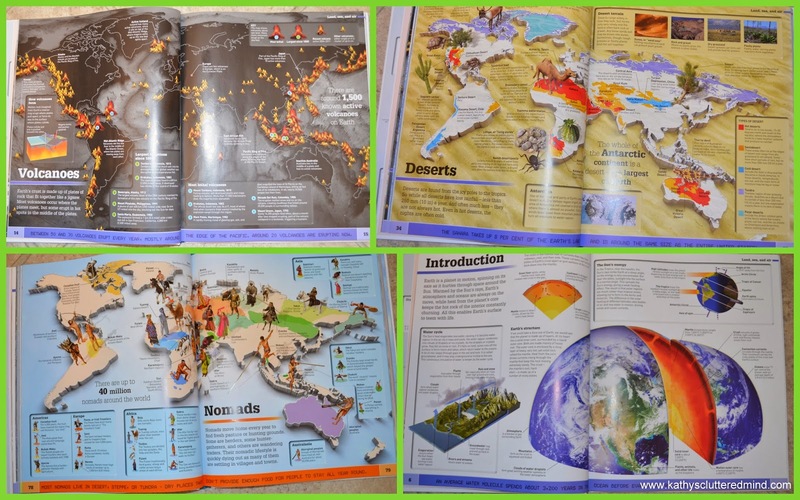 The book contains 75 full color maps showing you things like the world's talles buildings, longest rivers, most dangerous earthquake spots and more. There are diverse topics in six chapters on Geography, Nature, People, History, Arts & Entertainment and Science & Technology. 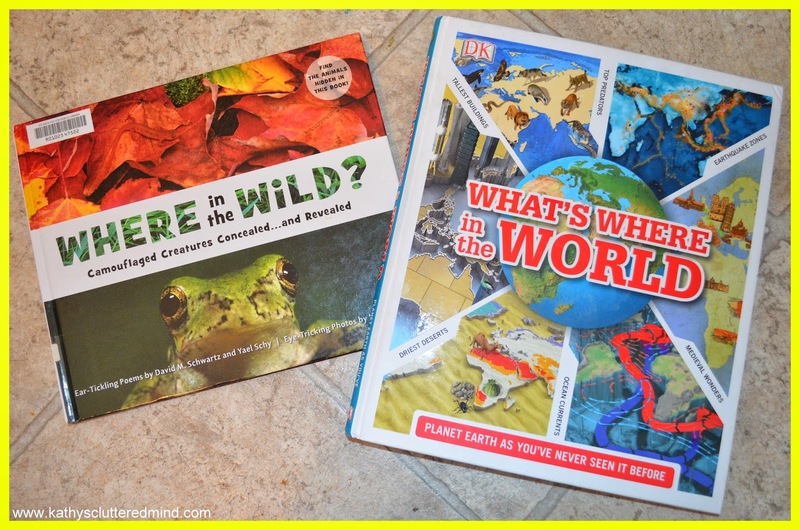 The second book we read was, Where In the Wild. I found this book at the library while looking for a poetry book for our April homeschool book club meeting. 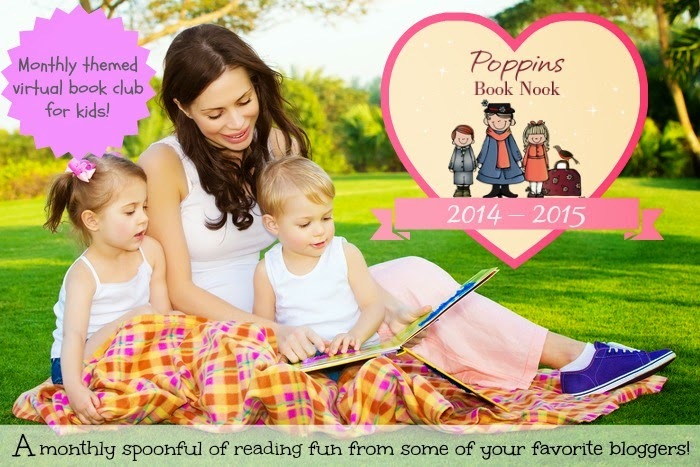 It just so happened that it went along great with this book club too! Next month is National Poetry Month...did you know that? This award winning book was tons of fun. The book has beautiful photographs of 10 camouflaged creatures each in their natural surroundings. 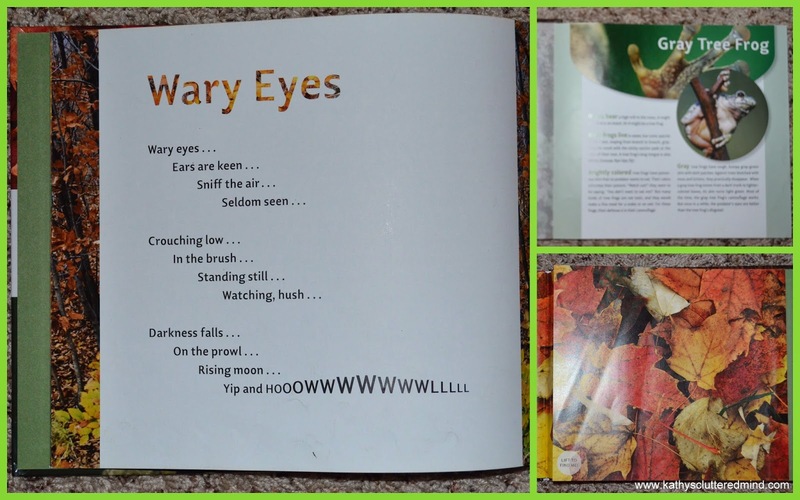 On each page is a fun, playful poem that offers clues about each animal;s identity and whereabouts. If you think you've spotted the creature, simply lift the flap to find out if you are correct. On the inside of the flap is tons of fascinating information about each animal so that you can learn how camouflage serves both hunter and hunted. Why do fawns have spots during their first year of life? How did killdeer birds get their name? What makes a crab spider so good at ambushing its prey? I made two journal pages to go along with our reading! I hope you enjoy them. 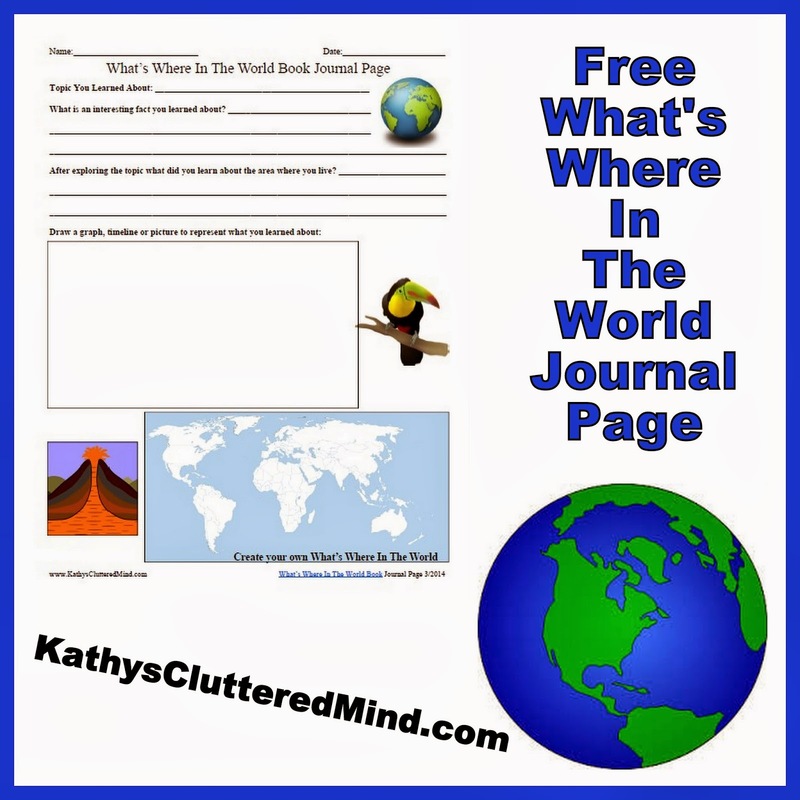 Here is the What's Where In The World Journal Page. This was made to compliment the book though it may work for other books that are similar. Download your copy here or click the picture below. 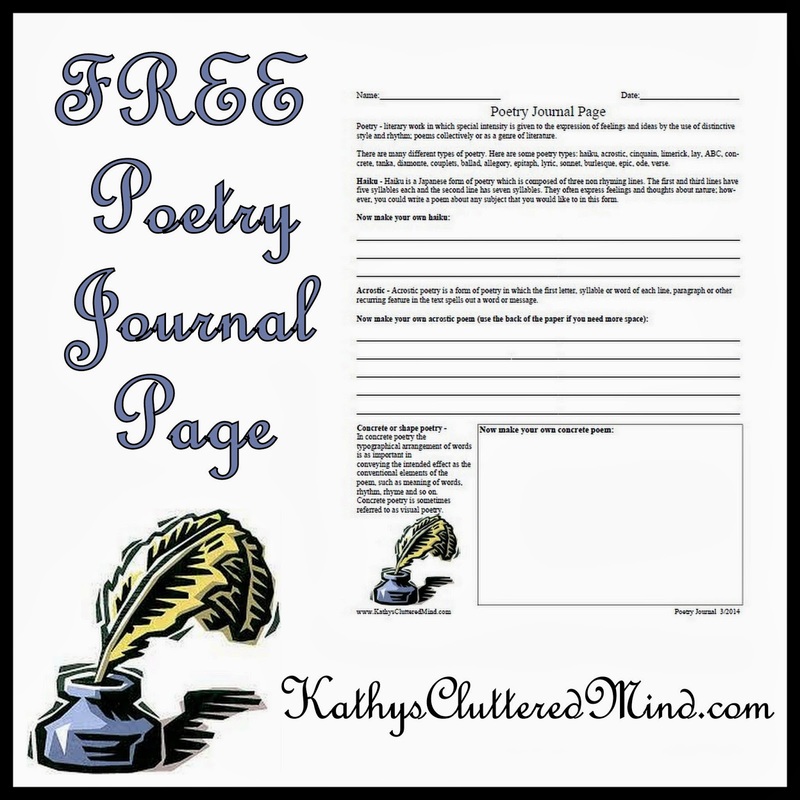 Here is the Poetry Journal Page that we used with Where In The Wild. This journal page can be used with or without any book! And it's great for National Poetry Month in April! Download your copy here or click the picture below. Here are two fun projects we did to go along with each of our books. The first is one that I have seen several times while surfing Pinterest and the other is one that Gwyn yet again came up with all on her own. To go along with What's Where In The World we made our own planet play dough Earth's which also included the various layers as well. This is also a great Earth Day project for April! 1. First roll some red play dough into a ball to represent the inner core. 2. Next flatten out the orange play dough and cover the core with it. 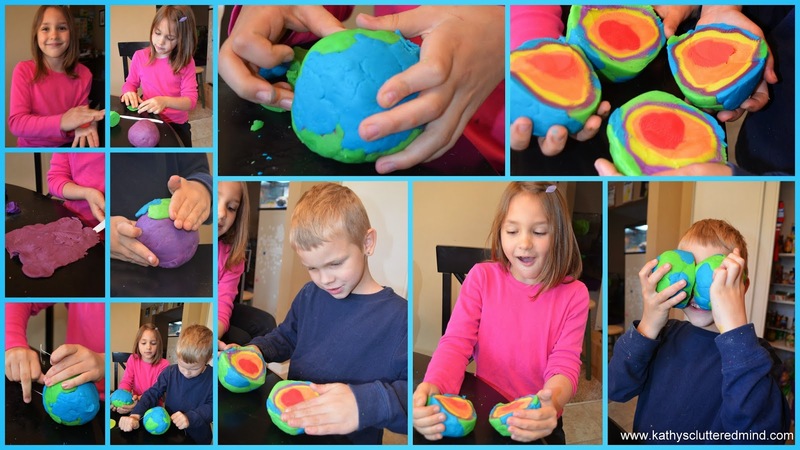 Continue to add play dough layers to represent the different layers of the Earth in this order: orange = the outer core, yellow = the mantle, brown = the crust, and blue and green = ocean and land. Note in our photo our crust is purple because we didn't have brown. 3. Now it's time for the big reveal!! 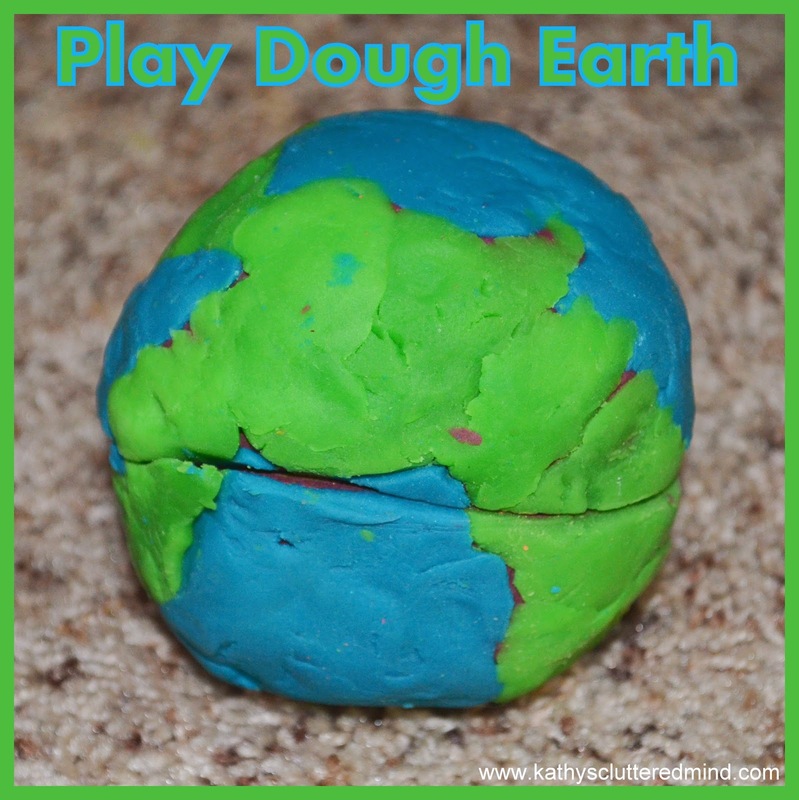 Use a piece of dental floss to slice down the middle of the play dough Earth. 4. Have fun discussing the layers, putting your Earth back together and taking it apart again, using your Earth to make bug eyes or rolling it across the floor! 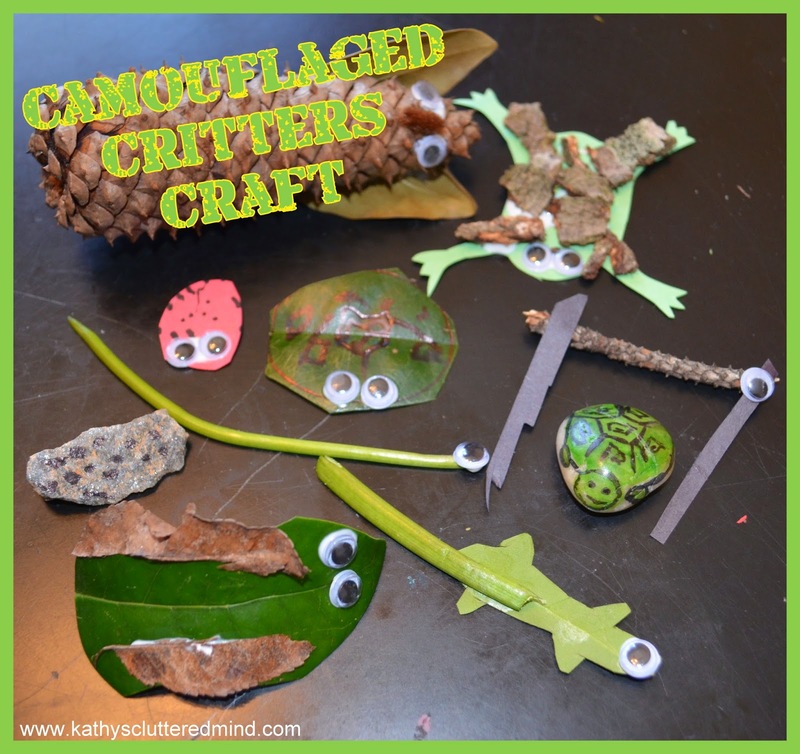 To go along with Where In The Wild we made our own very own camouflage creatures! Afterwards we played a fun game with them. 1. First think of some creatures you want to make. Show your kids pictures of different creatures that use camouflage to get their juices flowing. 2. Using your materials create an assortment of camouflage animals. We used construction paper as the base for many of our creatures and added the nature materials on top for the camouflage effect. For example: lichen toad. For some of them we were able to use the actual nature material as the base. For example: rock turtle, pine cone owl, leaf salamander and stick stick-bug. 3. And for some added fun (also Gwyns idea) we played the camouflage game. 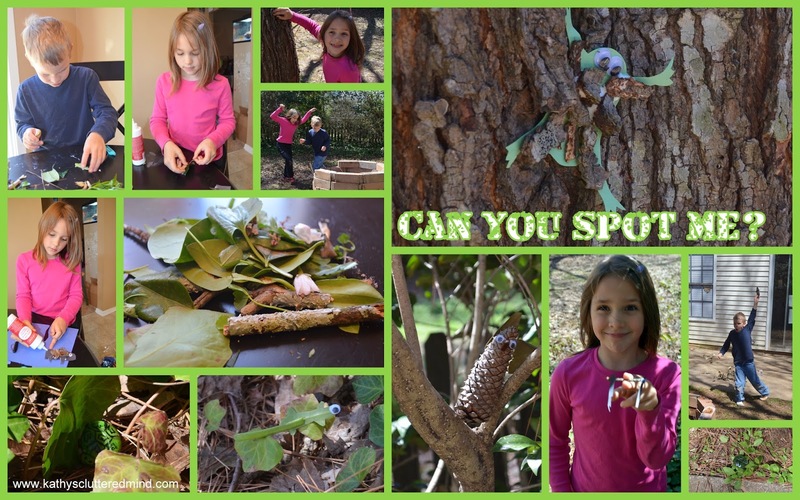 We took turns hiding our creatures in the backyard then went on the search to find them! I must admit this was tons of fun and even daddy had some fun playing when he got home from work. Wow! The playdoh globe was awesome! Those journal pages are wonderful, you're so creative. Love the idea of the Playdoh globe as well. Those camouflage creatures are such a great idea! I hadn't heard of either book, but they look great. And the playdo globe is such a cute activity. Thanks for the great ideas! Those camouflage creatures are so cute!